Hits Hard & Decons Easy, New OC Technology Makes Extractions Easier, Safer & Requires Less Clean Up. Extracting and controlling enraged, combative and aggressive inmates and subjects is a difficult task which emergency response teams encounter on a regular basis. 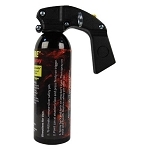 OC (Oleoresin Capsicum) has been proven to be the ideal tool to gain a tactical advantage during these dangerous scenarios. A few challenges exist when deploying traditional OC into confined areas: Cross Contamination, Decontamination & Clean Up. PHANTOM OC uses a High Volume, Evaporating Delivery System to specifically address these challenges. 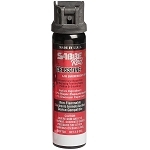 Increased propellant causes the micro- scopic OC droplets to disappear after only a few feet from the canister’s nozzle leaving very little residue on the inmate/subject and surrounding areas. With PHANTOM clean up is simplified by removing the inmate/subject from the contaminated area. Fresh air assists with the remaining decontamination. 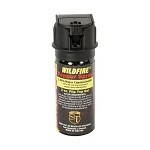 PHANTOM is available in a standard MK-9 Fogger or Cell Buster with a hose and wand attachment. Cell Buster’s hose and wand attachment allows PHANTOM to be deployed underneath doors, through dry wall and air vents. PHANTOM delivers up to five (5), three (3) second deployments (Cell Buster) or four (4) three, (3) second (MK-9 Fogger) blasts of SABRE RED High Volume, Evaporating Delivery into the confined area. 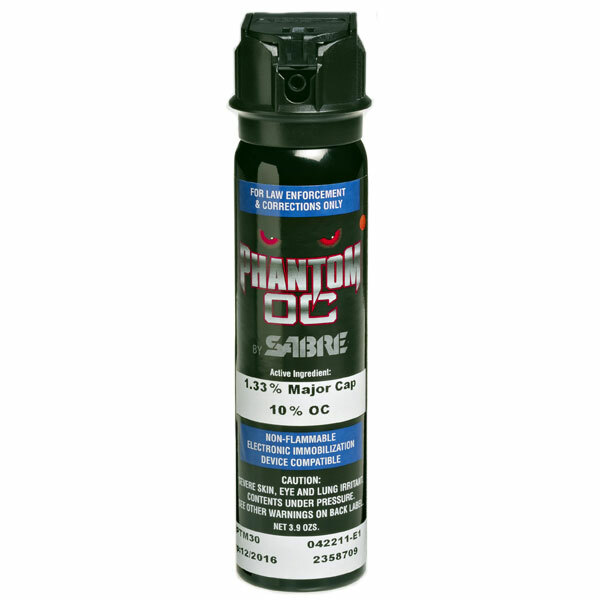 At 10% OC measuring 1.33% Major Capsaicinoids, PHANTOM’s Evaporating Delivery provides a Level III contamination from SABRE RED’s very powerful Level III formulation. Incorporated with built-in safety systems, light weight portability for ease of use, backed by independent health studies and cost effectiveness, PHANTOM quickly ends dangerous situations with less staff involvement. 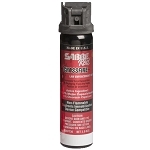 With the addition of the SABRE RED PHANTOM to your arsenal, you’ll escalate your aerosol irritant projectors, not your level of force. Reduce injuries and “Hard Entries” with PHANTOM, the ideal Cell and Area Confinement Extraction Tool. Regardless if you need to deploy OC through a food slot, underneath a door or into an attic or crawl space, PHANTOM Hits Hard & Decons Easy!